Why buy more mattress than you need to fill a space and sleep well? A full size bed is the smallest size for adults that may fit the bill, depending on your need. If you’ve been sleeping alone, then you may have been able to get by with a Twin. Upgrading to a full size bed gives you more room for a partner or additional sprawl space. 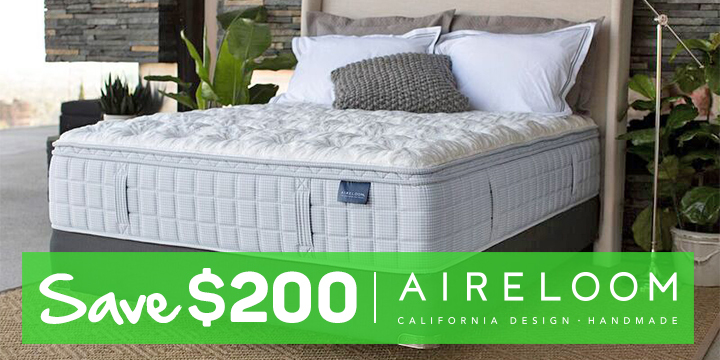 Come to our showroom and try out a full size memory foam mattress for yourself; we also carry other styles like Latex, Inner Spring and Hybrid mattresses. Come to Mattress World Northwest to take a crash course in mattress comfort and feel the difference for yourself! What size is a full mattress? A full size bed frame is the next dimension up from a Twin (39×75”) or Twin XL (39×80”) – and is considerably larger. You may also see a full mattress referred to as “a double.” By American standards, the size of a full mattress is 54 inches wide x 75 inches long. The dimensions of a full size mattress give you an additional 15 inches of width and five inches in height than a Twin size mattress. You may sometimes also see a “Full XL” size mattress, which is as long as a queen size mattress, adding another five inches onto the height (54” x 80”) to accommodate slightly taller sleepers who may not have the need or the space for added width. You sleep with a partner, but prefer to snuggle closely. You don’t toss and turn much or need more than 27 inches of personal space. You are 5 foot 5 inches or shorter. You are buying a mattress for a teenager. You are buying a mattress for a young child to allow added room for bedtime story reading together. You are at least 5 foot 6 inches, but less than 6 feet tall (in which case, a king size bed may be more suitable). You are sharing a bed, but do not have enough room space for a king size bed. You’d like to sprawl out a little more with 30 inches of personal space. You’re outfitting a guest bedroom and have enough space to allow 22 inches of clearance on all sides. Full size mattresses (double or standard) were commonly used for two adults 30 - 40 years ago when homes and bedrooms were built much smaller. Now, a Full mattress is generally used for a single person and sometimes in guest rooms. Two adults sleeping on a full size bed is equivalent to each person sleeping on a crib mattress (27 inches of sleep width). Most people sleeping with a partner opt for the Queen size. If two people use a Full size mattress they will both cross over the center line and interfere with the quality of their partner's sleep. A Full mattress can sometimes be special ordered in extra-long. This can help out fitting a tall youth, but then makes sheet shopping more difficult. A Full-XL bed can also be a great choice for a single user on an adjustable power base. We recommend a standard Full mattress in almost all situations. Mattress World Northwest has the largest selection of Full or Double mattresses in Portland. We also offer a HAPPINESS GUARANTEE! If you have any questions about Full size beds or other products, call your nearest store today or come in for a comfort test. Full size mattresses are already economically priced compared to larger sizes, but if you are looking for a particularly cheap full size mattress, consider shopping the sales of a specialty store like Mattress World Northwest. Generally speaking, the biggest mattress shopping holidays include: Labor Day, Thanksgiving/Black Friday, Christmas/Boxing Day, Memorial Day and Independence Day. Yet, we’ve got specials going on all year round. 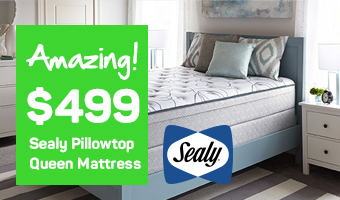 For instance, we recently featured the popular Sealy Posturpedic Bayfield DR mattress for just $500 – less than half the cost of the suggested retail price! With lower advertising costs and overhead, you are sure to find a better deal at a locally owned and operated mattress store like Mattress World Northwest. 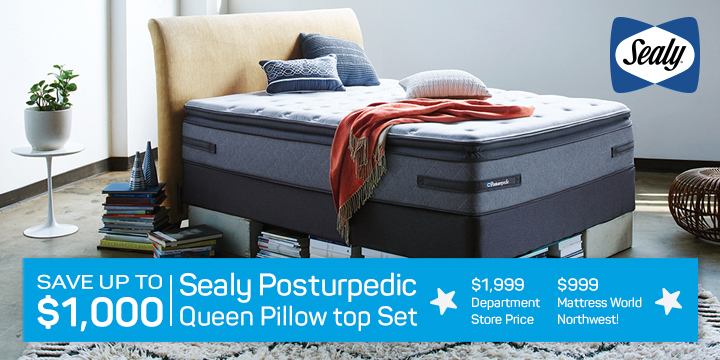 Visit our Deals & Coupons page to see current offers on a full mattress set. The Sleep Specialists at Mattress World Northwest are dedicated to helping you find the right night’s sleep, whatever that may mean for you. There is no one perfect brand, model, or firmness. It’s all relative to individual preference and budget. Just to be sure, we stock a variety of the most reputable makes and models in all price ranges. Our inventory is all backed by the best warranties in the industry, as well as our exchange-friendly Comfort Guarantee. Stop by and try the full mattresses we have in stock at one of our 12 Portland, Oregon metro locations to find the comfortable night’s rest you deserve.